From our “garage band” roots, when the Yerecic family began manufacturing labels out of the garage of their home, to our current state of the art, cellular process, industry innovating facility, we have grown quite a bit over the last 45+ years. While many things have changed, others have stayed the same; our love for printing and our family roots. How do we maximize efficiency and quality? With our winning cellular concept. 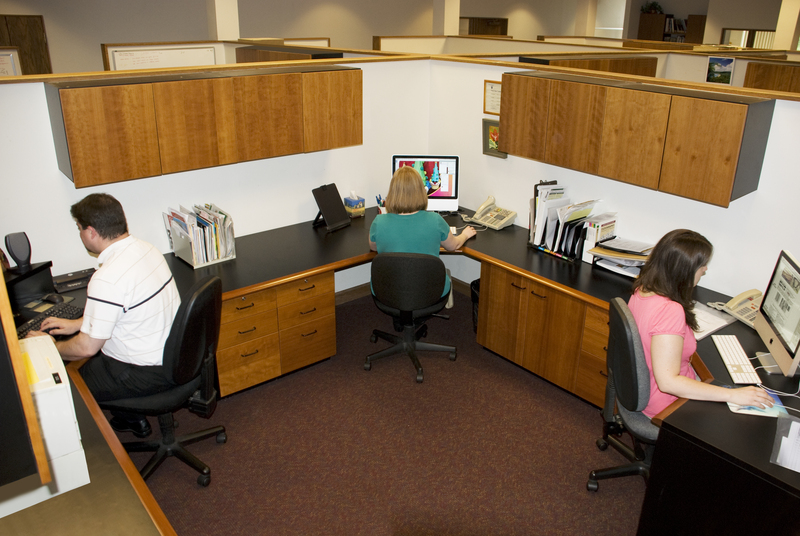 Our focus on lean manufacturing led to the creation of cellular teams in the office area. 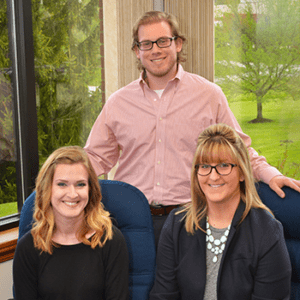 Each team includes a Key Account Manager, Customer Service Representative and Graphic Designer to create a strong unit focused on supporting your products’ needs. 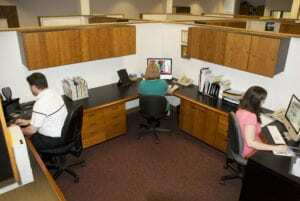 Your go-to team helps save you time and energy whenever you need to contact us! On the production floor, your project goes from raw material, to finished labels in a case, on a skid, and ready to ship in a continuous flow. We have streamlined our production process so we don’t waste time, energy or materials, giving you the highest quality product at the best possible value with an overall goal of exceeding your expectations! 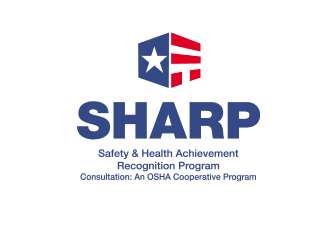 Assuring all customers and associates that our facility is a safe, clean and healthy workplace is our top priority. See the information below for descriptions and links for each of Yerecic Label’s certifications. For information on our green certifications, check out our Sustainability page. 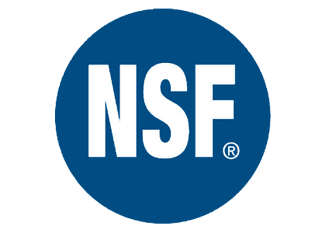 NSF International audits Yerecic annually to assure customers of proper food safety practices within our production area. 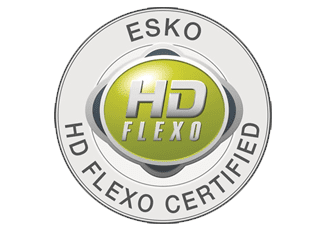 HD Flexo allows print of magazine quality photography and unmatched range of colors using traditional CMYK processes. Dedicated to creating a safe and healthy work environment for all Yerecic Label associates and guests. With a full team of graphic designers in-house, the sky is the limit in creating eye-catching fresh label designs that connect with shoppers. Our graphic designers are trained not only in printing best practices, but are also in-tune with industry trends, food labeling laws and our consumer research insights to design the most effective label for you. Have a question about our pre-press or press capabilities? 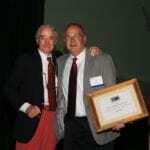 Check out some of the awards and achievements we have been honored to receive. 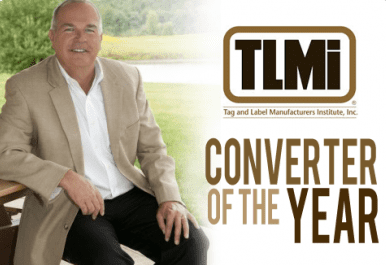 At the 2016 TLMI Annual Meeting, two labels were recognized for print excellence as part of the TLMI Annual Awards Competition. 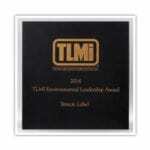 The TLMI Awards focus on innovation, technical achievement and print quality. All entrants are confidential and judged by a panel of knowledgeable and impartial experts from label industry suppliers. 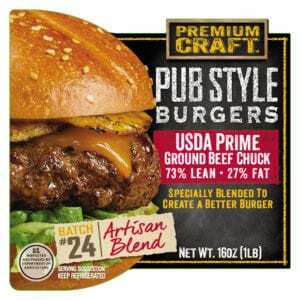 The Pub Burger label (shown left) was awarded first place for the Flexographic Process Prime category and also Best In Class for the Flexography and Letterpress category. The label will be entered into the World Label Awards Competition and published globally in industry magazines. The first winner, the 2015 Eat Chicken National Chicken Month promotional label, was recognized as Best in class in the narrow web water-based flexographic coupon category. The second label recognized as by the Flint Group was a Mint Mojito FlagTag! label, printed for North Shore Living Herbs’ promotion of their new potted herb line, in the water-based process category. 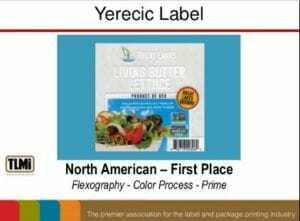 In 2015, Yerecic Label was honored with a first place award in Excellence in Technical Achievement in the Printing of a Flexography, Color Process Prime Label. Yerecic Label also received second place recognition in Excellence in Technical Achievement in the Printing of a Coupon & Extended Content Label. 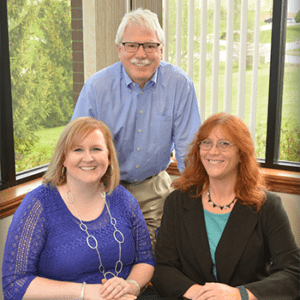 In 2015, Yerecic Label was honored with an Environmental Leadership Certificate from the Tag and Label Manufacturers Institute for the Documentation of Relevant and Replicable Sustainability Practices. Yerecic Label is focused on making continuous improvement to sustainability practices that are tangible and replicable for all label manufacturers. 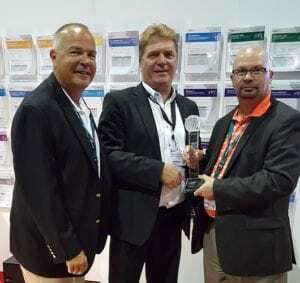 Yerecic Label was honored with the Environmental Leadership Award at the 2014 Tag and Label Manufacturers Institute, Inc. (TLMI) Annual Meeting on Monday, October 13th. In February 2014, Yerecic Label became landfill free by diverting 99.4 percent of waste away from landfills. Yerecic Label’s Flint Group recognition was given for Outstanding Print Quality in Water-based Specialty Print.The label that won the award was a design for the National Pork Board’s summer grilling marketing campaign.